Aluminium composite panel has a polyethylene core sandwiched by aluminium layers on either side producing a versatile sheet material with a great aesthetic. 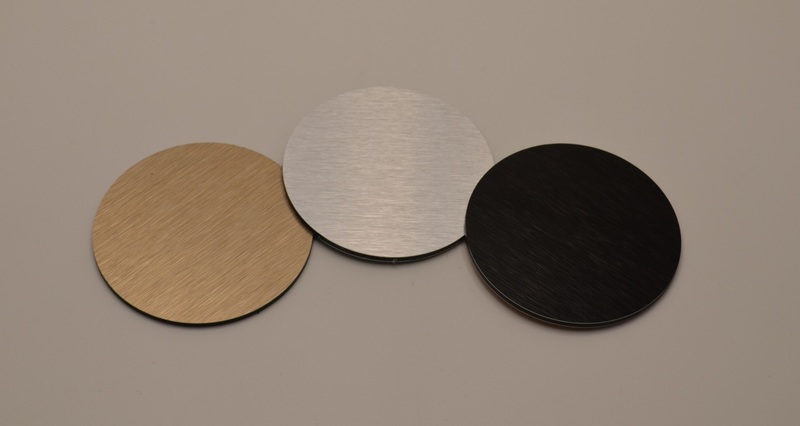 Order pre cut round discs of your required diameter. Aluminium composite panel has a polyethylene core sandwiched by 0.3mm aluminium surface layers on either side producing a versatile sheet material with a great aesthetic. Order pre cut round discs at your required diameter.